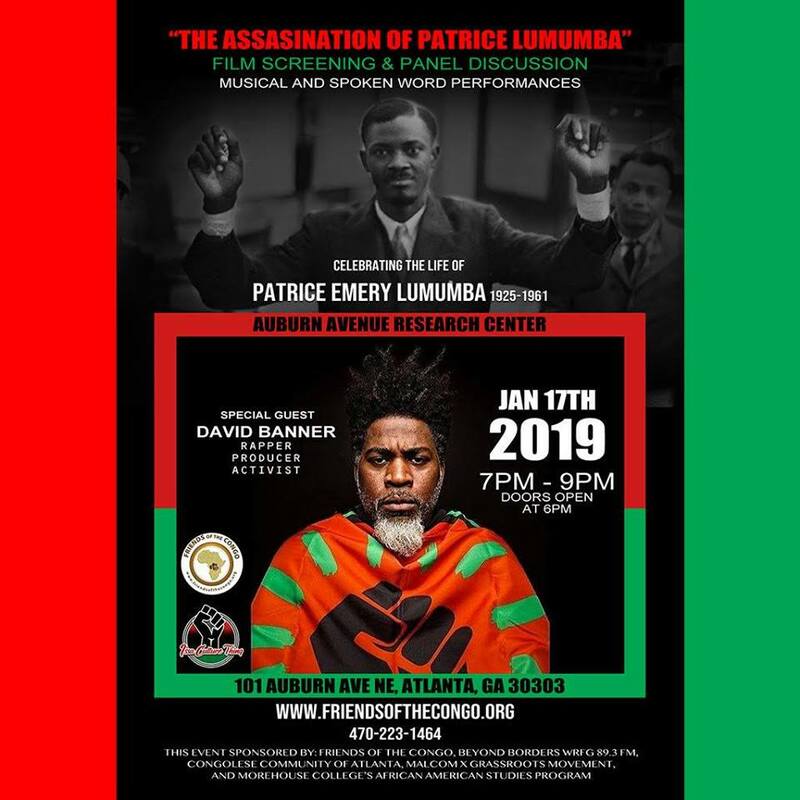 Friends of the Congo Atlanta Support Network is hosting a community engagement event on January 17, 2019. 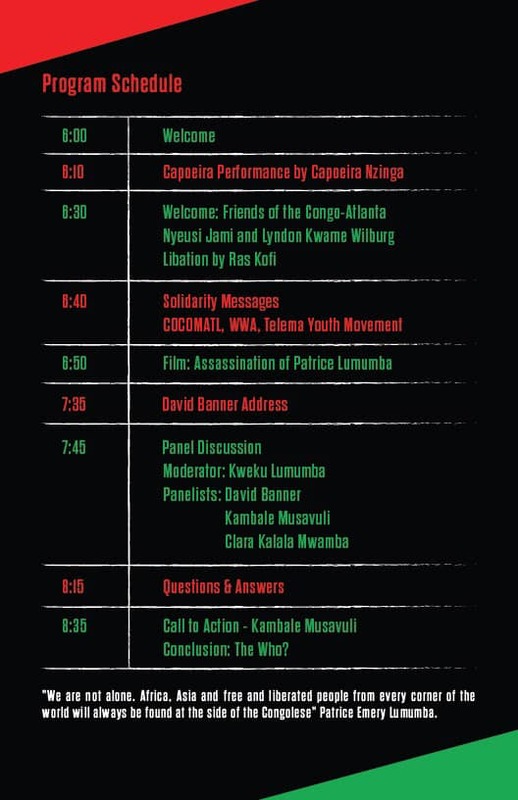 The evening will include a film screening on the assassination of Lumumba and a panel discussion. 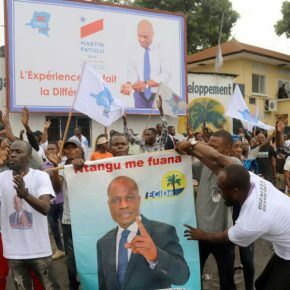 Musical and spoken word performances will celebrate the life of Patrice Emery Lumumba, the Congolese politician and independence leader who served as the Congo’s first democratically elected Prime Minister. 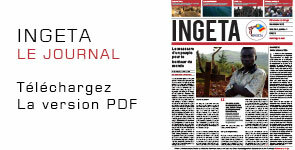 He who was overthrown by the United States’ CIA in cahoots with Belgium, the United Nations and Congolese elites. 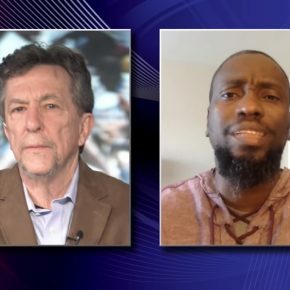 A panel discussion will follow the film featuring rapper and activist David Banner and local grassroots activists. 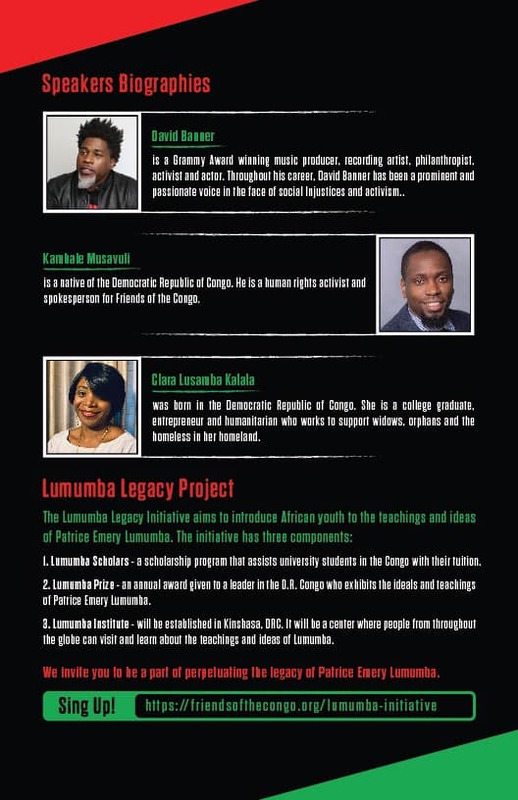 The panel discussion will also include Congolese youth from the Democratic Republic of Congo who are leading a courageous pursuit for peace and justice grounding in the ideas and teachings of Lumumba. 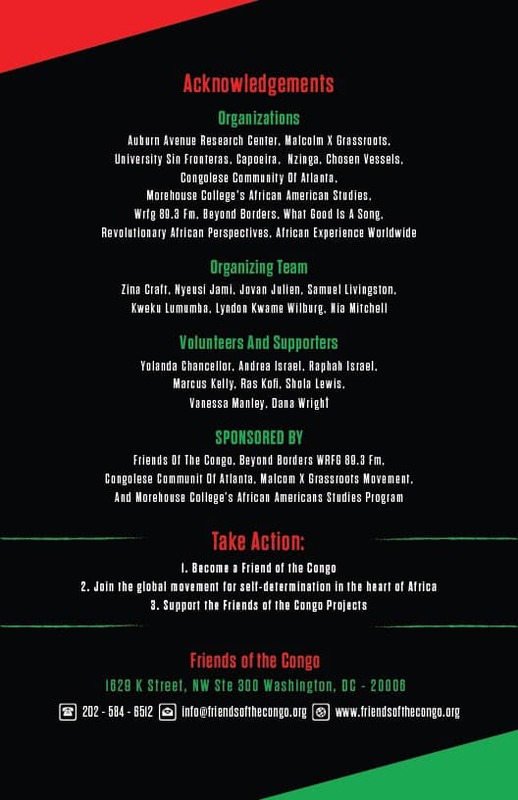 This event is sponsored by Friends of the Congo, Beyond Borders WRFG 89.3 FM, Congolese Community of Atlanta, Malcolm X Grassroots Movement, and Morehouse College’s African American Studies Program. Limited free parking is available. For more information please call 470-223-1464 or send email to info@friendsofthecongo.org.